Settlers of the Old West left behind the cities and towns they knew. They make do even in harsh conditions and made history by building new communities. It’s truly incredible that during these changes, photographers managed to capture these moments and tell a story for all generations to come. 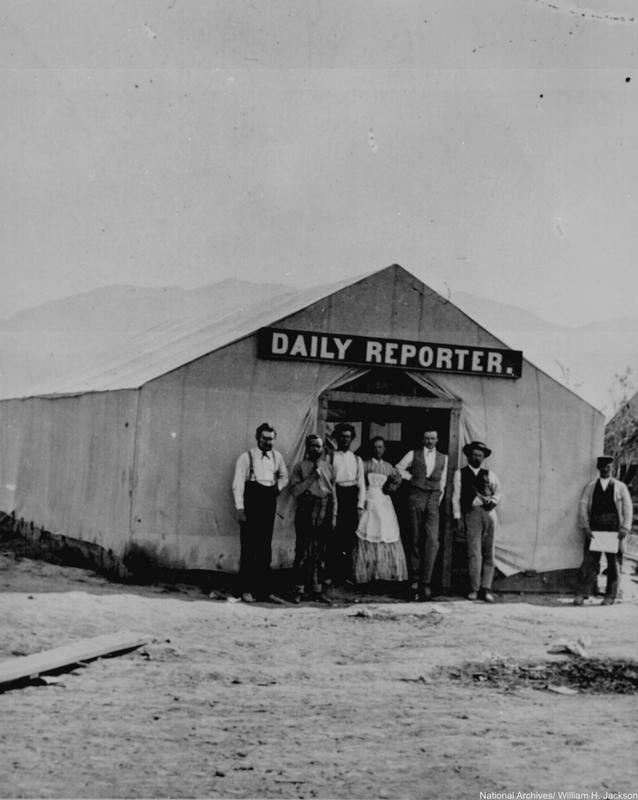 Daily Reporter staff poses in front of their office, Utah Territory, 1869. 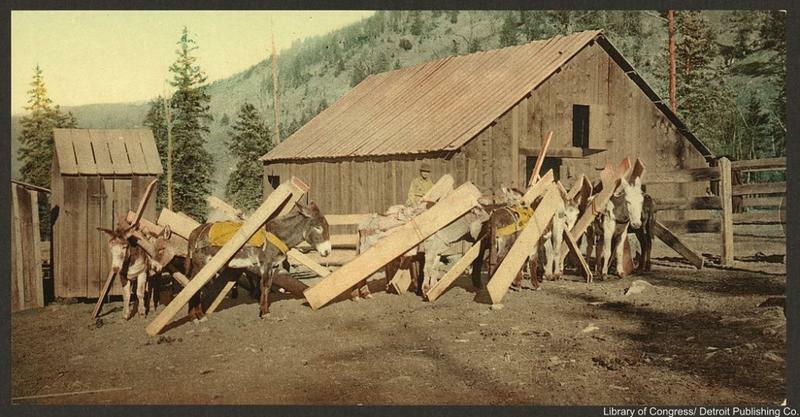 Tinted image of burros hauling lumber in circa 1898 in Colorado. 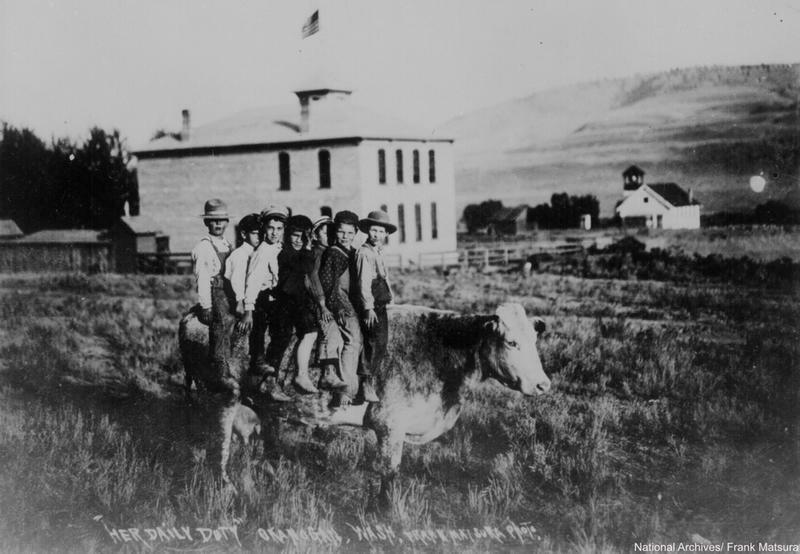 Some Frontier school children pile onto the back of a cow, circa 1907. 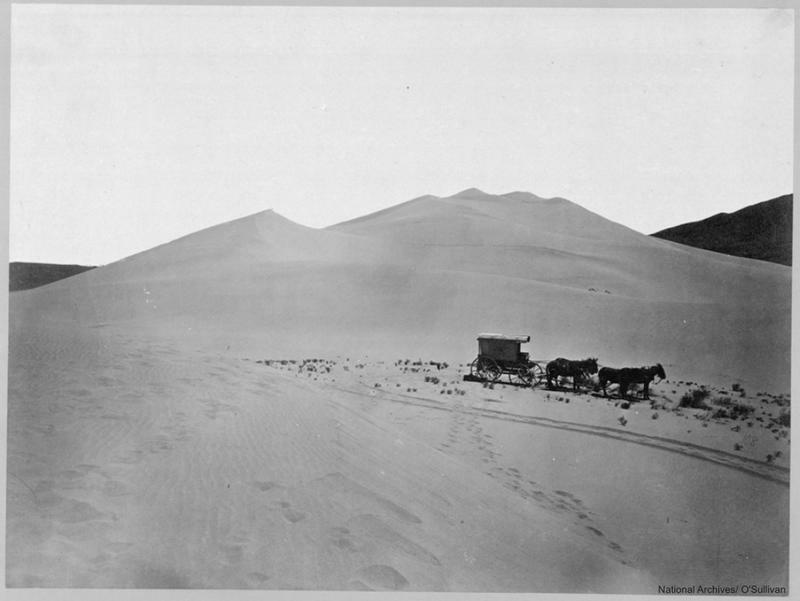 Photographer Timothy O’Sullivan’s ambulance wagon with a portable darkroom inside used during the King Survey on the sand dunes of Carson Desert, Nevada, 1867. 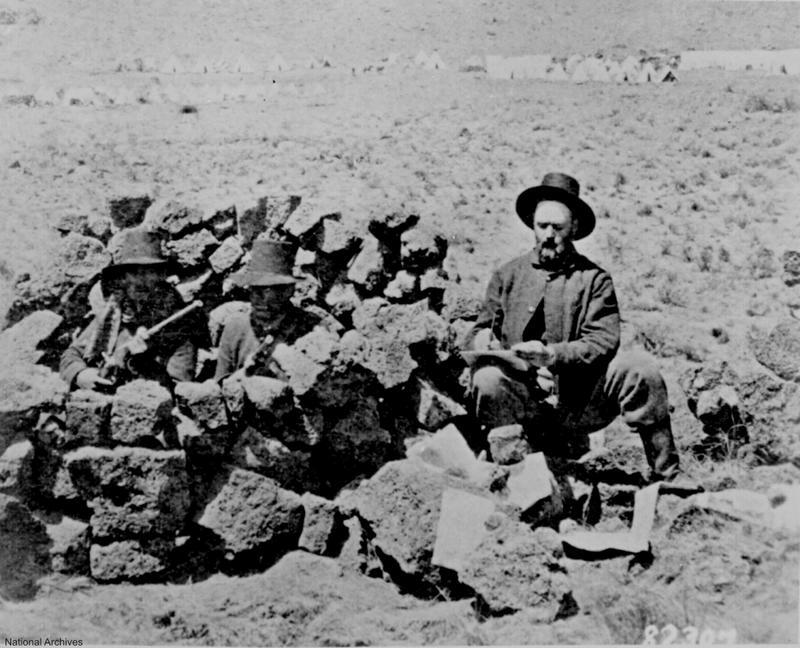 San Francisco Bulletin correspondent taking notes while on the battlefield near General Gillem’s camp during the Modoc War circa 1872. 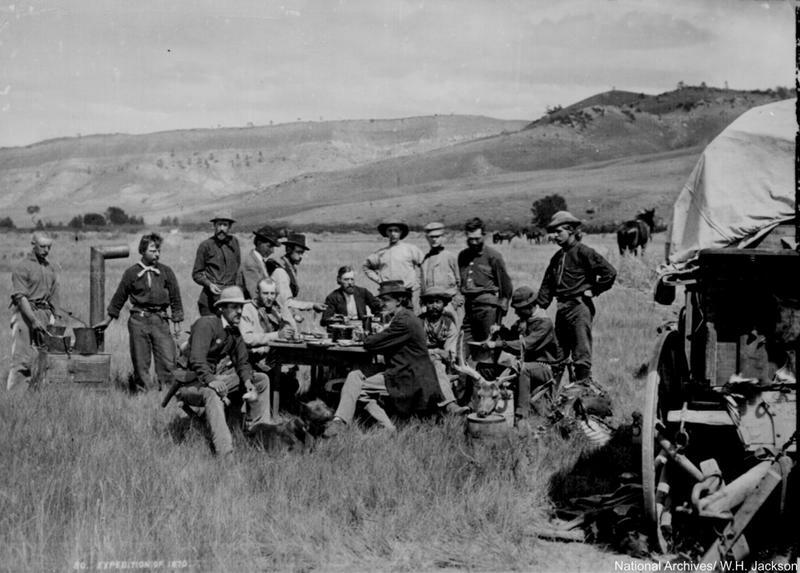 U.S. Geological Survey recessed for lunch at the chuck wagon, Wyoming Territory, 1870. 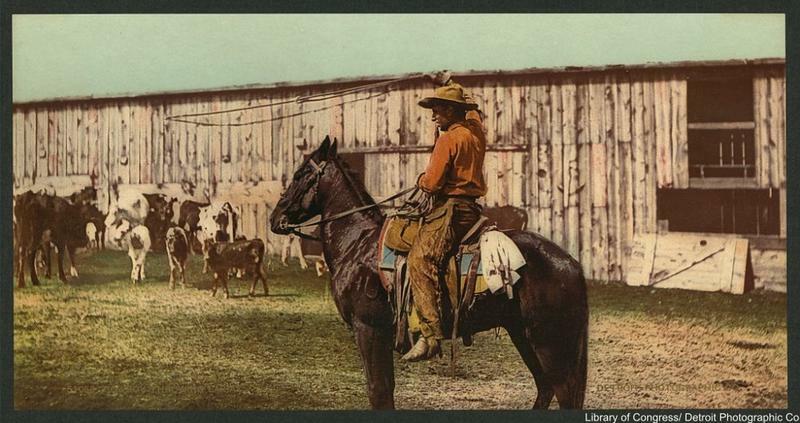 Tinted photograph of cowboy circa 1898. 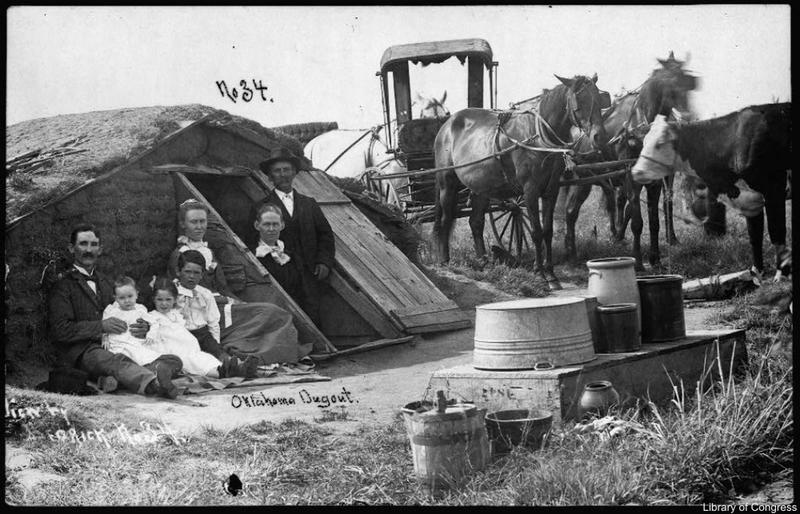 A dugout sod house in Oklahoma, 1909. 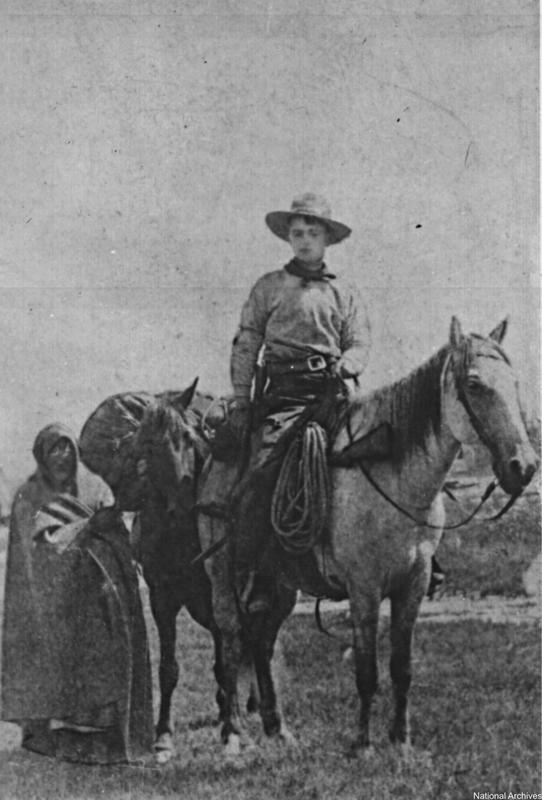 Young Pony Express rider, Frank E. Webner, circa 1861. 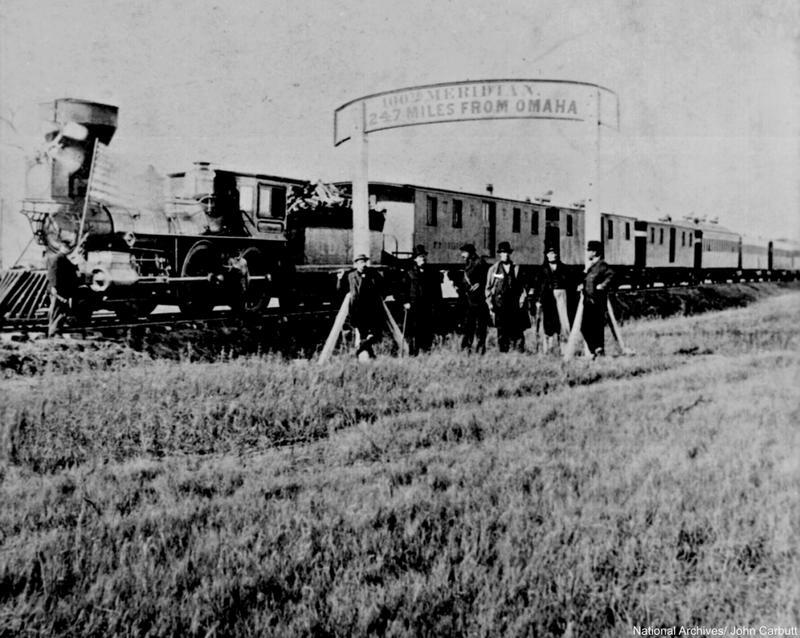 Union Pacific Railroad ceremony held on the 100th meridian approximately 250 miles west of Omaha, Nebraska Territory, 1866. End of the railroad tracks along Humboldt River Canyon, Nevada. 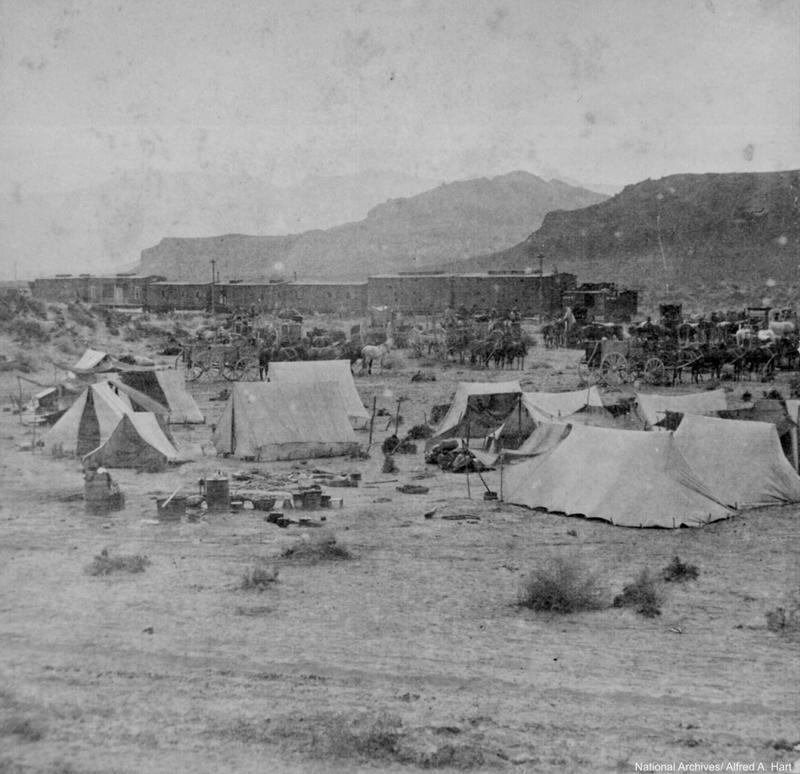 Central Pacific Railroad campsite, 1868. Tinted photo of J.L. 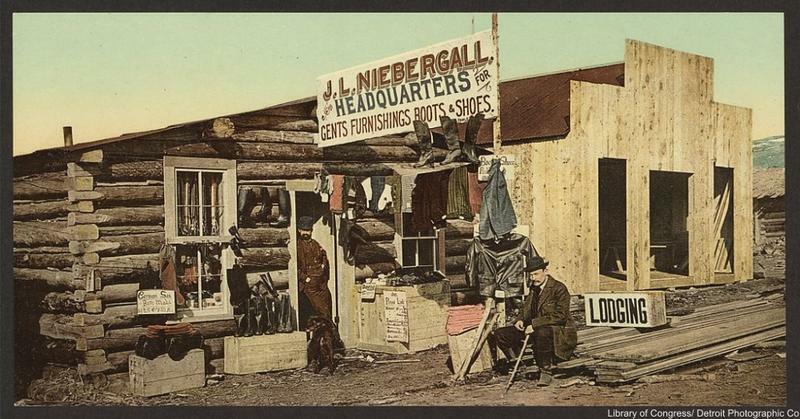 Niebergall store in Colorado circa 1898. Note the storefront going up right beside this. 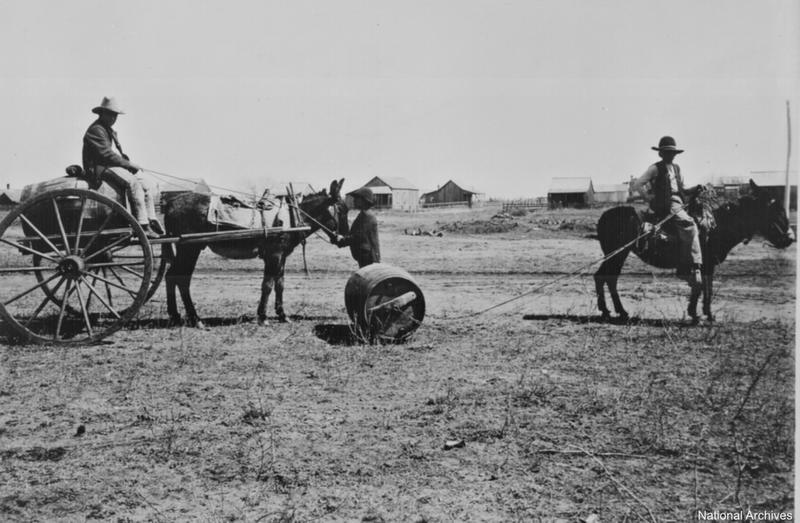 Hauling water via wagon and by dragging the tethered water barrel behind as well, circa 1905. 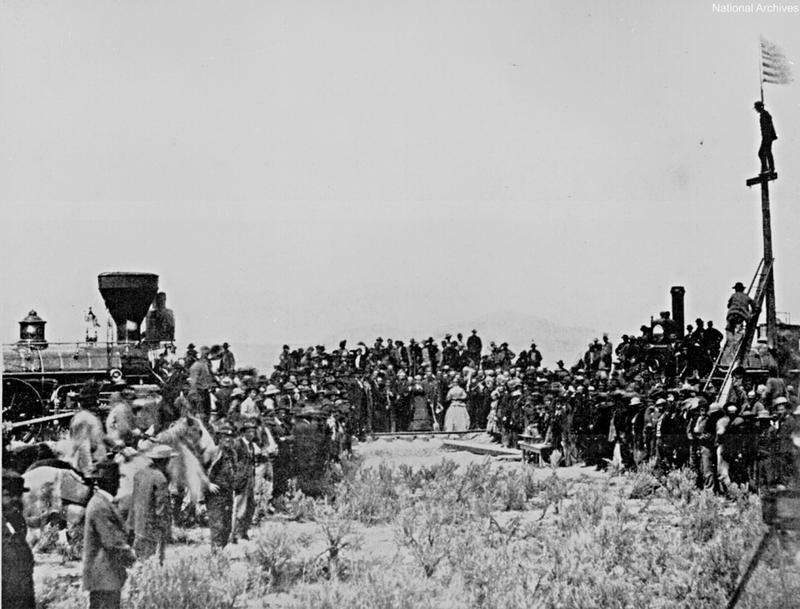 Ceremony to link the tracks for the first transcontinental railroad, Utah Territory, 1869. 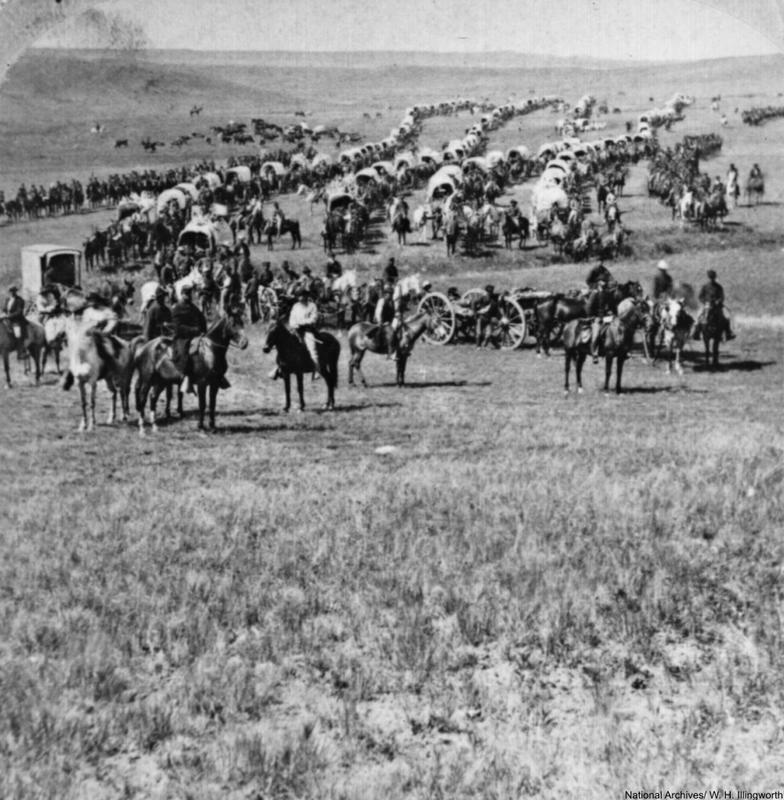 Custer leading a caravan throughout the Dakota Territory, 1874. 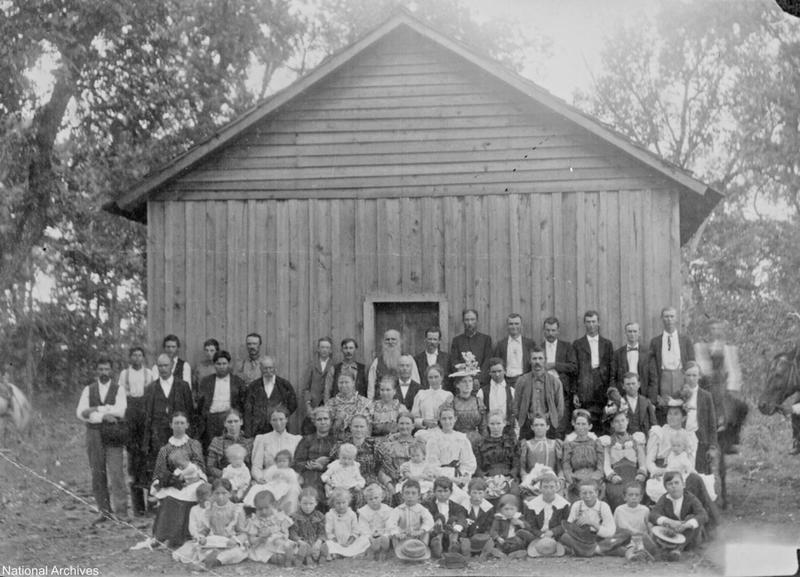 This Sunday school photo illustrates both Indians and settlers in attendance. Indian Territory (Oklahoma), circa 1900. 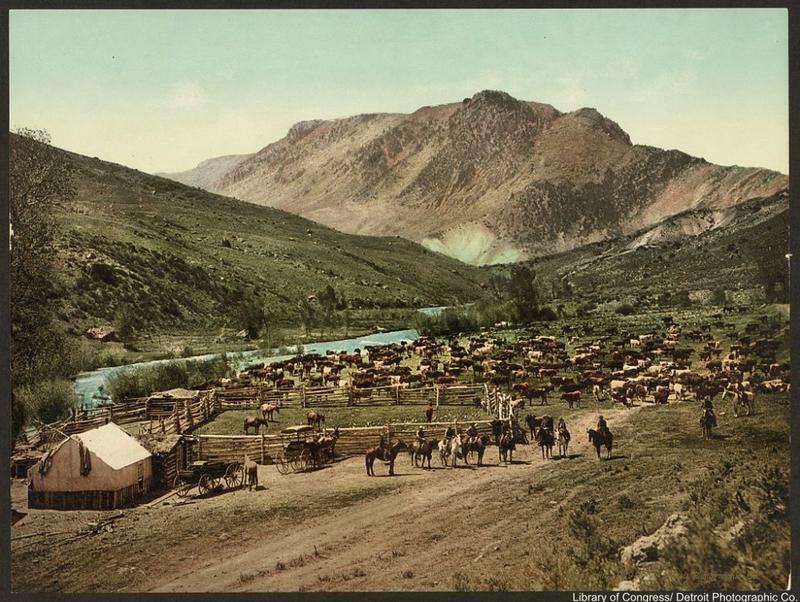 Colored photograph of corralling the cows on the Cimarron River, circa 1898. 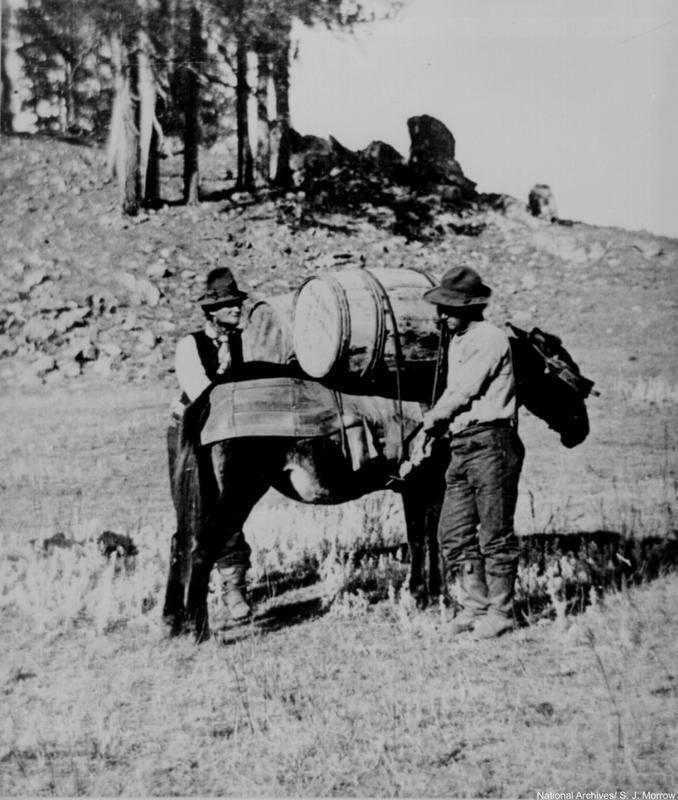 Loading mule with flour during the starvation march of General George Crook’s expedition into the Black Hills, 1876. 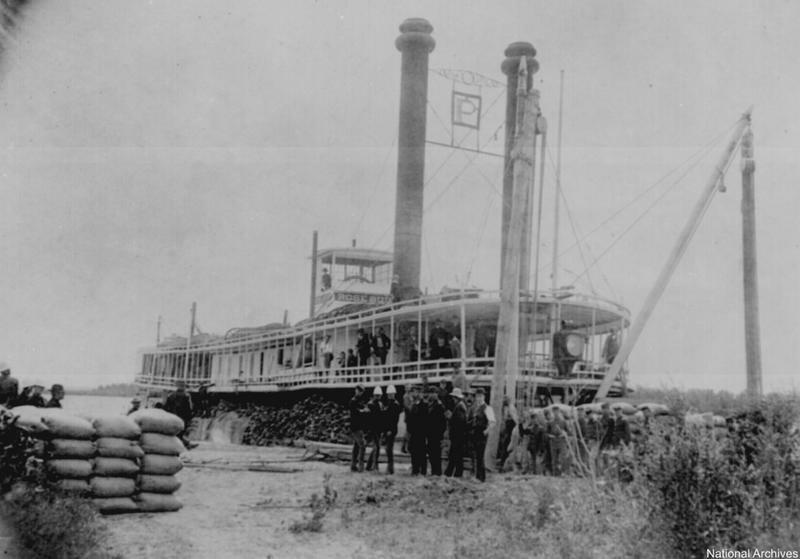 The Rosebud river boat coursed the Missouri River from Bismark, North Dakota to Coalbanks in Montana, 1878. 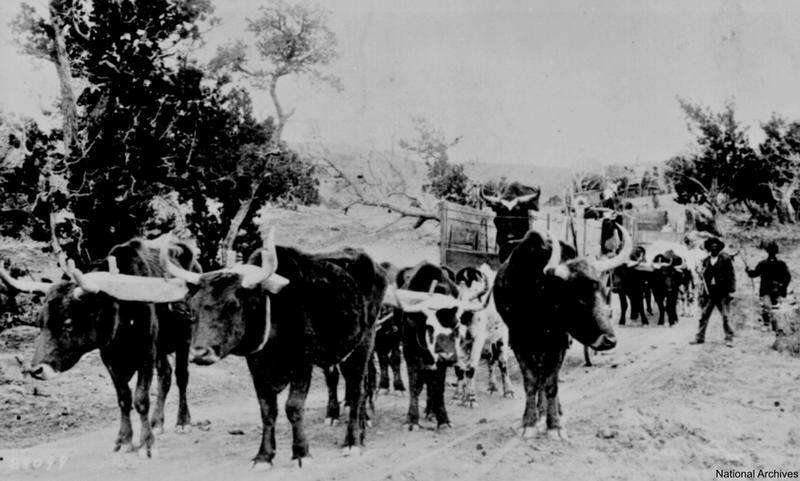 Ox train traveling the supplies, Arizona Territory, 1883. 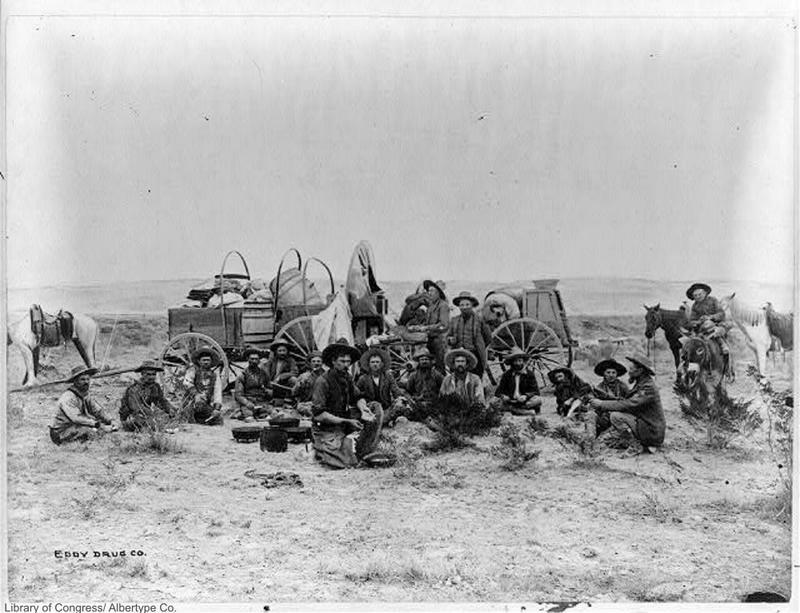 Some cowboys relaxing beside wagons, circa 1880-1900. 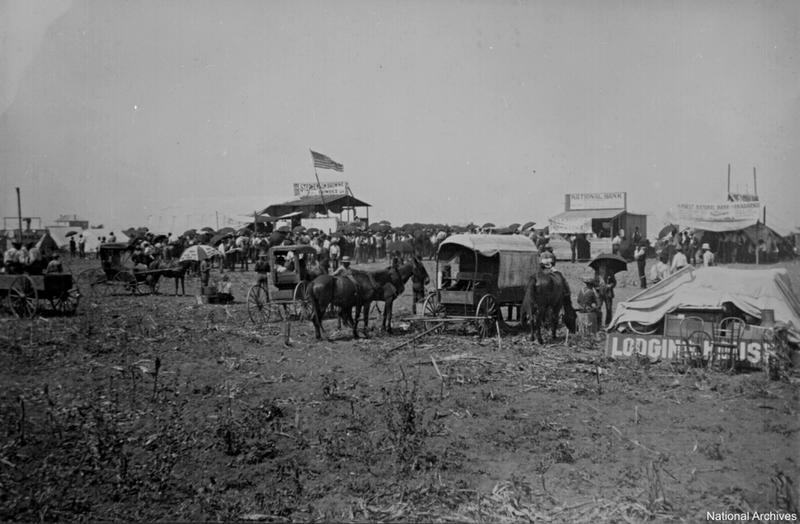 Anadarko townsite in the Oklahoma Territory building the beginnings of a town, 1901. 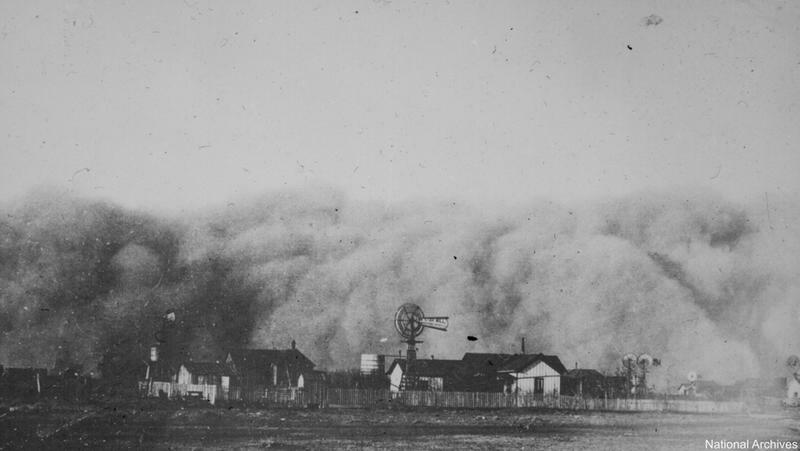 This Midland, Texas, sand storm in 1894 must have been alarming to new settlers in the area. "Claims bought and sold." 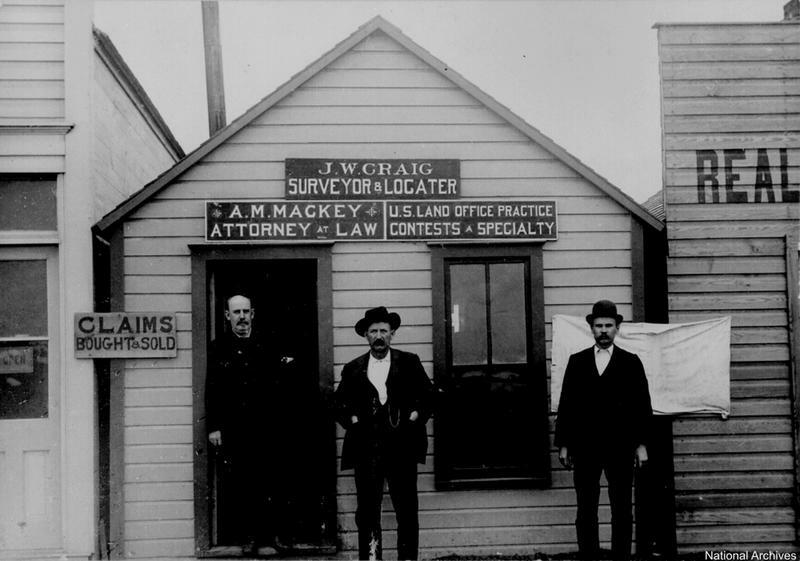 An Attorney’s office, Round, Oklahoma Territory, 1894.